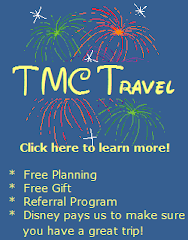 The Mouse Connection: The Perk of Early Planning: The "Must Get" Disney Reservation! The Perk of Early Planning: The "Must Get" Disney Reservation! My "must get" Disney reservation is not made for a particular restaurant, made to enjoy a particular food, or even to visit a particular resort. My reservation is made for a partiular time. 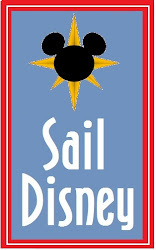 One of the perks to planning your Disney vacation far in advance is that you are ready to go at the 180 day mark, when Disney opens the Dining reservations window. Planning early means that not only do you get your choice of restaurant, but even your choice of dining time. For my family that means one thing - a breakfast reservation in the Magic Kingdom before the park opens. WHAT, you say? Before the park opens? Can you even do that? Absolutely, and it is just magical! 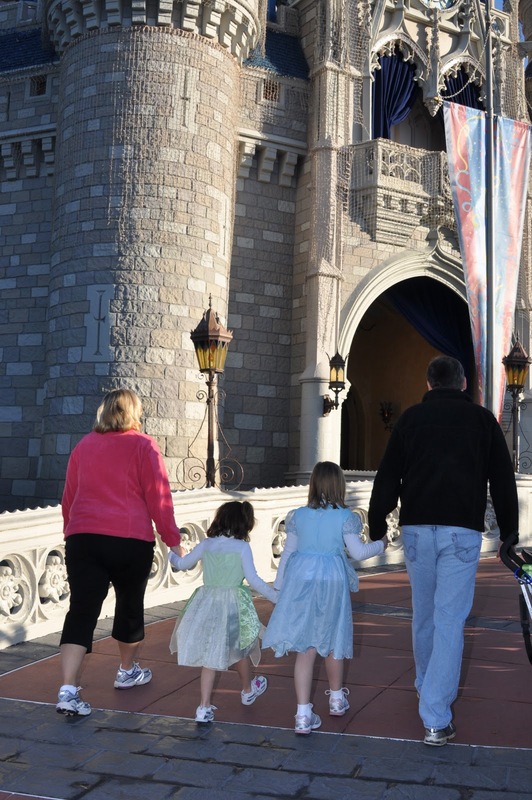 Imagine strolling through the turnstiles of the Magic Kingdom with out a stroller nipping at your heels. Enjoying the relative coolness of the morning hours, as you enter the park. 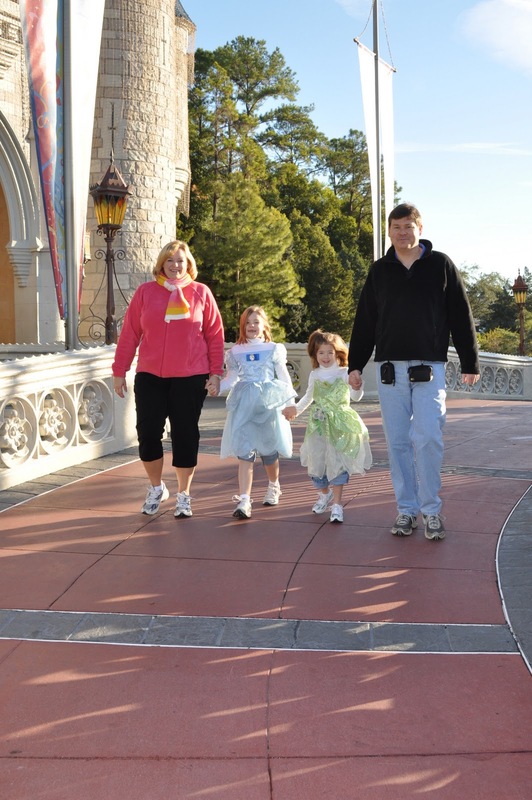 Have your camera ready to snap a picture of your child's face as you round the square and the castle comes into view. Stop for a moment and enjoy - it is the only time you can do so in the morning without the risk of a mini stampede running you over. Wave a cheerful good morning to all of the PhotoPass photogs ready to snap your picture as you walk down Main Street. Don't be tempted to stop too soon...keep walking to the hub and find that last photographer. He or she will be ready to snap your picture in front of the castle in the empty park. Or by the Partners statue with nobody in the background. Get ready to snap away and get some of the best pictures of your entire vacation. The Photopass photographers are usually just standing around waiting for families to stop buy, so they have lots of time to take pictures. We had a mini photo shoot the last time we were there first thing in the morning - complete with costume change! As we continued across the hub to the castle, we found other photog with a different angle of the castle. Since we planned for picture time and still had several minutes before our reservation, I handed over out PhotoPass card. The photographer, said, "Let's do something a little different. We have the time and the space!" She snapped some pictures of us as we walked up to the castle holding hands and then some more as we walked back. How cool is that? My oldest said she felt like we were shooting a commercial. I'll bet not many folks have similar pictures in their Disney scrap books! Once our picture taking was done, we strolled back up the ramp, into the castle and dined with the princesses. A bonus feature of the early morning reservation is that we finished our meal at 8:55, 5 minutes prior to the park opening. So as the masses were trucking down Main Street, we were hopping on Dumbo and getting a jump on the day! So how you can you re-create this experience? It is actually pretty easy. On the 180 day mark, make a breakfast reservation on a day that the park opens at the usual 9am. Do not schedule breakfast on an early opening day or if there are Extra Magic hours. This could mean folks traveling at peak times may be out of luck. Aim for a breakfast reservation at or before 8:20. This will usually give you enough time to get a jump on the day by being at the back of the park when the park opens. Make sure you arrive with plenty of time before your reservations - allow for slow buses, security bag checks, walking time, and of course, plenty of picture time! There are two restaurants that offer breakfast prior to park opening. The Crystal Palace with Pooh and Friends, which is the more affordable option, requires a credit card guarantee, and costs 1 dining credit on the Disney Dining Plan. You can expect, but are not guaranteed Pooh, Tigger, Eyeore and Piglet. Cinderella's Royal Table is the other option. You can expect, but again are not guaranteed, some combination of Cinderella, Belle, Snow White, Sleeping Beauty, Jasmine, and Ariel. Cinderella's Royal Table requires either prepayment in full or 2 table service credits and a credit card guarantee if you are on the dining plan. The princess meal also includes gratuities and a photo package which somewhat offsets the eye popping price tag. So what if you can only find a reservation 10 minutes before park opening? I say go for it! You will miss much of that coveted first hour the park is open with super low crowds, but the experience and pictures are probably worth it - particularly if you have another morning set aside to get an early spin on Dumbo! So what if you waited to long to book and the early morning time are completely booked up? All is not lost! Cancellations happen all the time. Just be diligent and troll for reservations regularly. You just might get lucky!